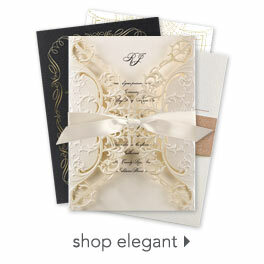 Envelop your wedding stationery pieces in beautiful shimmering envelopes. Wedding guests are sure to be impressed with your attention to detail. Our wedding stationery envelopes are unlined and feature a gummed flap for securing closed when mailing. Envelope is designed to hold a 3 1/2" x 4 7/8" card. Ecru Shimmer Outer Envelope - 3 5/8" x 5 1/8"